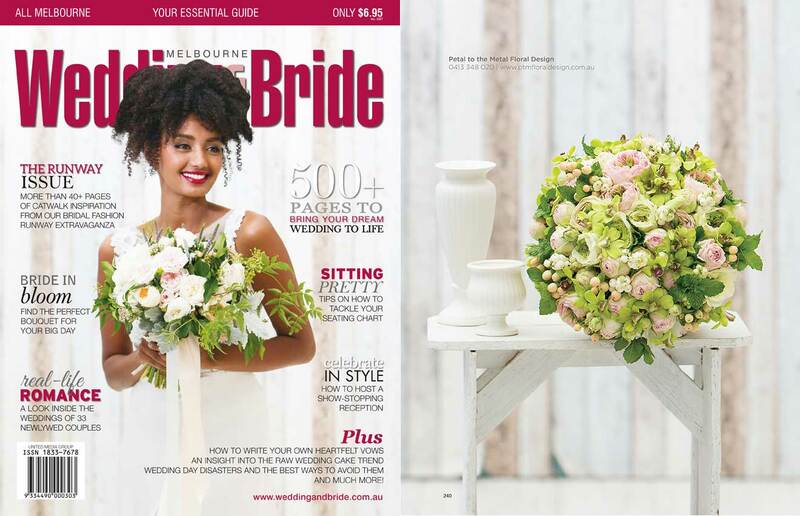 Melbourne Wedding & Bride, one of the most beautiful Bridal Magazines out there and we are pretty happy to be in the latest edition. Amazing photography by Dansk Photography. Wedding & Bride is a locally based magazine featuring advertisers from every facet of the wedding industry. Combined with contemporary features and innovative editorials, Wedding & Bride prides itself on offering value for money with every 800+ page issue containing the latest trends and inspirations for the ‘bride-to-be’.